It supports so many formats like pdf, doc, docx, docm, xls, xlsx, xlsm, ppt, pptx, pptm, rtf, txt, html, htm, url and images as jpg, jpeg, bmp, emf, wmf, gif, tif etc. The output image quality is super good with preserving the original text, tables, image, layout etc. More, the processing speed is very fast. User-friendly interface is very easy to use without any learning curve. Simultaneously convert massive different format files to PNG image file once. Convert PDF to PNG with several conversion modes for different needs. Convert PDF to PNG with retaining the original text, image, graphics, formatting of PDF. 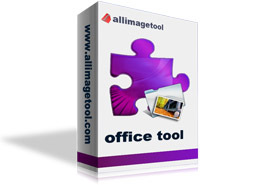 Convert Office Word, Excel, PowerPoint to PNG with ease. Convert local Html, Webpage contents of internet to PNG. Provide two modes (directly convert url or extract directly url from character strings) to convert to PNG. Support convert Docx, Xlsx, Pptx of Office 2007 to PNG.